A perfect summer day is coming around Bali when the sun is shining right above the equator and the breeze is blowing, making it a windy season at the same time. While starting off in June, August is usually the peak of windy season in Bali, where some of Balinese most avid kite enthusiasts swarm across the island to fly their beautifully adorned kite. 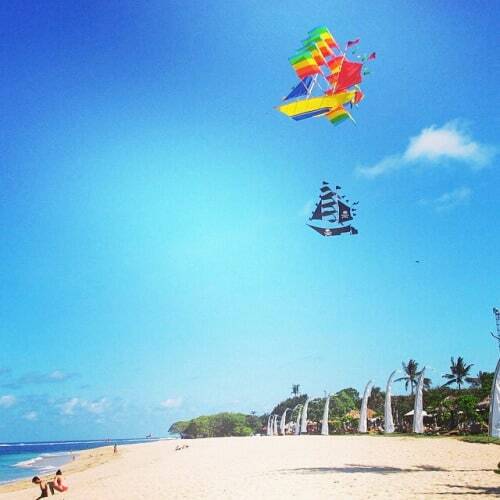 The summer and the windy season in Bali is a perfect kite season. Balinese knows four kinds of traditional kites, namely Pecukan – one that has a shape of rose apple leaf; the round-shaped Cokek; the fish-figured Bebean and one that looks like a bat. 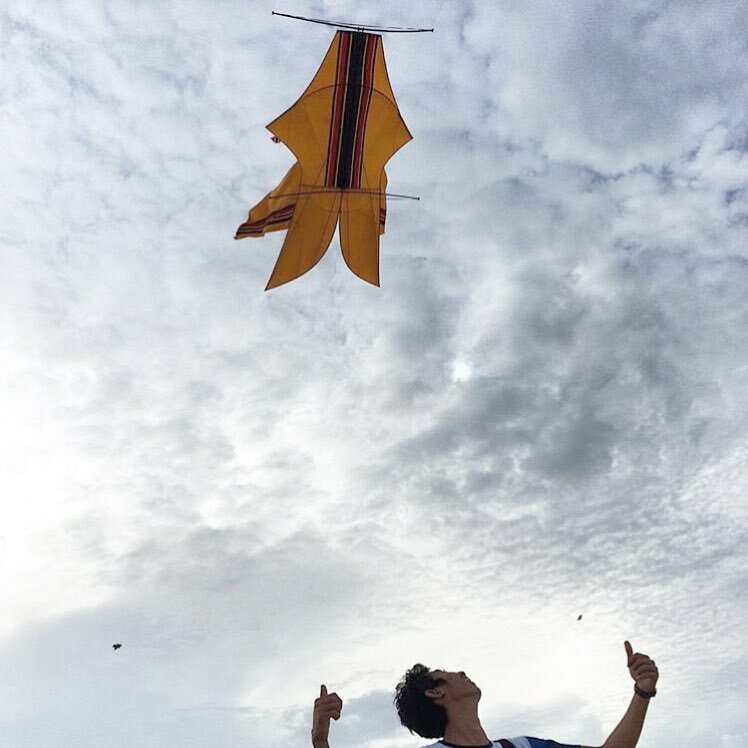 Traditional Balinese kites usually have more gigantic size compared to normal ones. A kite could have measurement of 4 – 10 meters. Some kites have a kind of tail which might extend to 100 meters. Best places to play or witness traditional Balinese kites are beaches and rice fields. 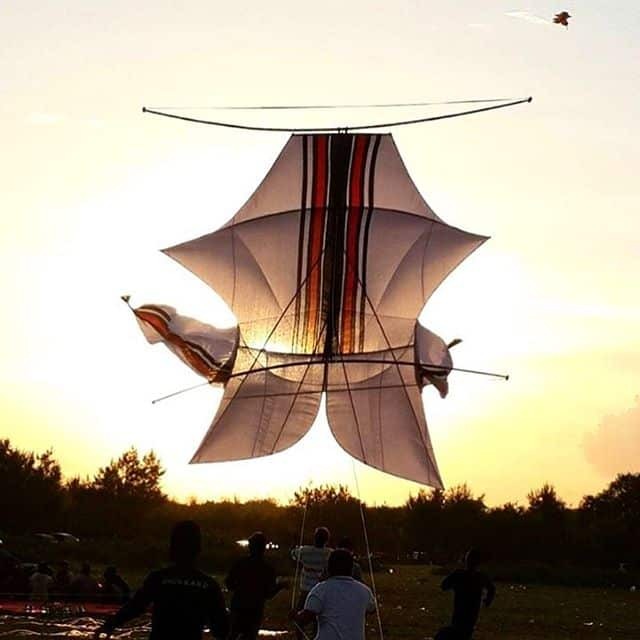 In addition, some kite festivals are usually held along the months of July to October, with the famous Bali Kite Festival being held in the month of July, in Sanur Beach. However, one could actually see one only by looking up to the sky when the wind is blowing. 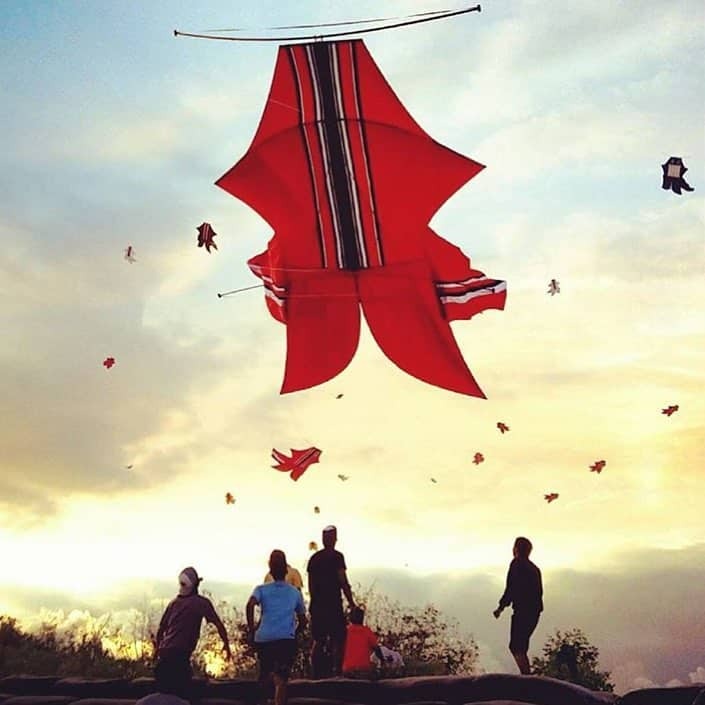 Here are some pictures of traditional Balinese kites flown on the island’s sky.